Comrades 2018 has been another successful campaign for WILDLANDS as the fundraisers went above and beyond their call of duty raising over R 500 000, which is R 200 000 more than what was raised in 2017. This was a record-breaking year for Comrades Amabeadibeadie charities combined, as the overall funds raised stood at a staggering R 5 000 000, which is R 2 000 000 more than the previous year. WILDLANDS has been one of the 6 official charities for over a decade and are set to continue until 2020 and beyond. As an incentive to encourage our WILD RUNNERS to raise funds, 3 of the top fundraisers are taken on a WILDLIFE Experience at the Somkhanda Community Game Reserve to experience first hand conservation work being done to protect the rhino population on the reserve. This year, runners had an experience like no other as they witnessed conservation activities including the fitting of new tracking collars and the dehorning of both black and white rhino by a highly skilled team made up of a conservation VET, the Wildlife ACT monitoring team and reserve staff. Comrades Marathon Association Chairperson, Cheryl Winn commended all runners who donated to the Comrades fundraising drive as well as all the official charities who did their best to make the 2018 Comrades count. “The Comrades Marathon charities handover is always a special occasion for us at the CMA. This does not only mark the closing chapter of Comrades 2018, but it is also an incredibly inspirational moment for all those who open their hearts into charitable giving,” she added. WILDLANDS was responsible for cleaning up the first half of the route through the activation of the #GOGREEN campaign – an anti-littering and responsible waste management campaign launched in 2016. The campaign is set to uplift underprivileged schools in and around KwaZulu-Natal as the waste will be upcycled into 400 x Green Desks made possible by Polyolefin Recycling Company NPC (Polyco) – a non-profit industry body which aims to create a society where litter is minimised and the value of waste is maximised, through facilitating the responsible management of used polyolefin packaging. A total of 7 867kg of waste was collected compared to 7 413kg collected last year. Plastic weighed the highest at 5 763kg. With less time exposure on the route, other streams like cans and glass were not collected and no material was sent to landfills. This is precisely what the #GOGREEN campaign advocates for. “As the WILDLANDS #GOGREEN campaign driver and runner, I would like to congratulate all those who completed the Ultimate Human Race. 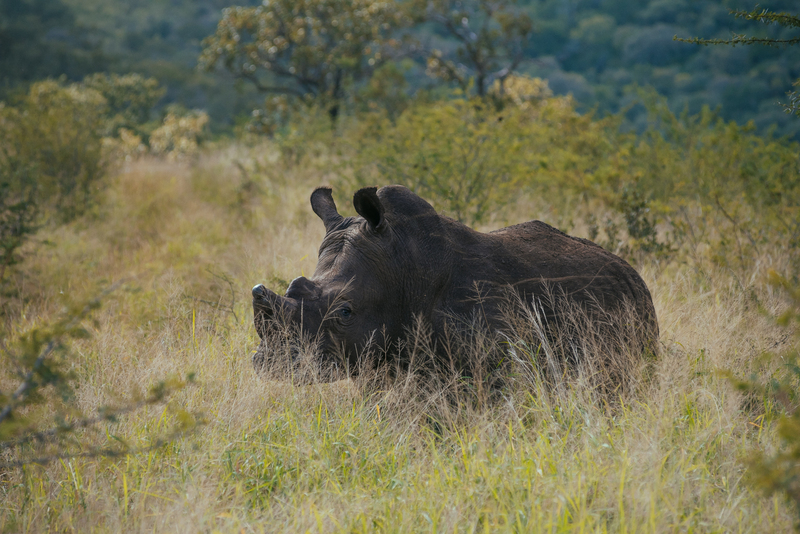 A huge thank you to our WILDLANDS runners for helping us secure a more sustainable future for our wildlife, particularly the rhino – we could not do this without them. We are grateful to the CMA for their continuous support and we look forward to an improved #GOGREEN campaign drive in 2019 that will change the of mindset the running community and encourage the use of alternative hydration solutions,” concludes Buyi Makhoba-Dlamini, WILDLANDS Strategic Marketing Manager.